If you're reading this blog, you're already "aware" of childhood cancer. You're aware of the way that it can tear families to bits. You're aware of the crazy drugs and the crazier side effects. You're aware of the roller coaster that cancer treatment is for any family. You're aware of the horrible horrible moment when the doctors tell you that there is no more that they can do for your child. You're also aware of the way that communities can come together. You're aware of the way that love and hope and blessing can shine through the darkness. You're aware of the pain that we've felt and you're aware that even just your virtual presence can mean so much to a family like ours. Only 4% of all federal cancer research funding goes specifically to childhood cancers. Every 3 minutes worldwide, a child is diagnosed with cancer. Awareness leads to funding. Funding leads to better treatments, better diagnostics, better drugs, and eventually, better statistics. Cures, even. So why is this post titled "childhood cancer ACTION month"? I am hoping that YOU, my dear readers, will take your awareness and move it into ACTION this September. 1. Go Gold -- change your Facebook or Twitter profile picture, wear gold nail polish, put a gold sticker on your car....do something GOLD. When someone asks you why you've "gone gold," tell them. 2. 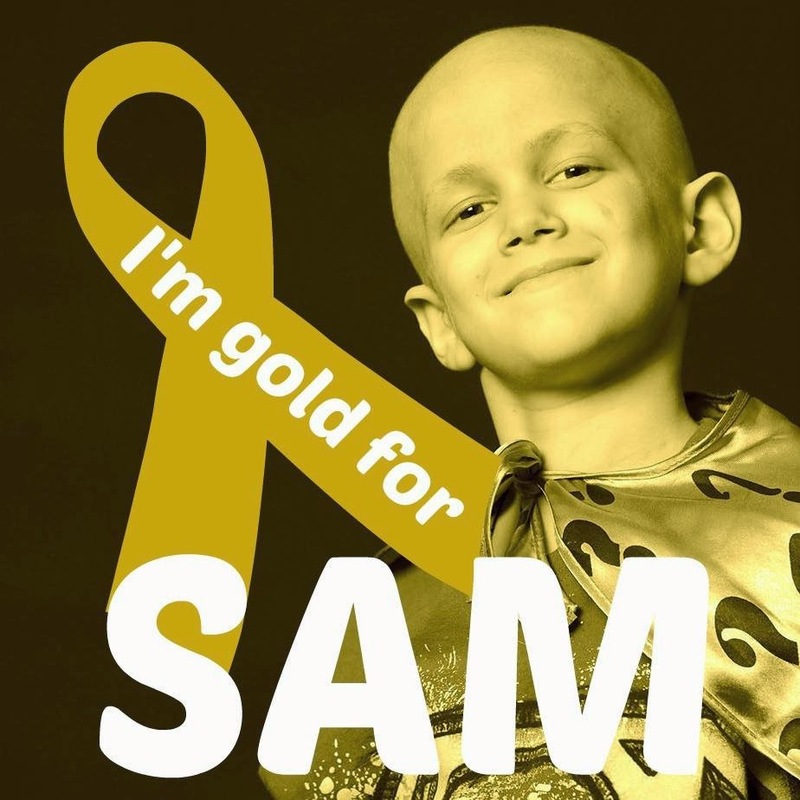 Commit yourself to sharing your new knowledge about childhood cancer with at least one new person this month, one person that you haven't told, one person who doesn't know Sammy's story. Or any child's story. To read more childhood cancer stories, follow Mary Tyler Mom at her blog, where all month long she will be sharing these heartbreaking stories. 3. Advocate on a political level for childhood cancer research funding. Start here at the St Baldricks Foundation. 4. Organize an event at your workplace (blue jeans Friday? ), your school (pajama day? ), your neighborhood (lemonade stand? ), your synagogue or church (bake sale? )...and commit to raising money AND awareness. 5. Make a donation to the St Baldricks Foundation, an organization committed to funding pediatric cancer research. I miss my child so desperately. Each day I find another thing that I will never learn about him. Would he have been taller than me? When would his voice have changed? What would that deeper voice sound like? Would he still love turtles? What would his new interests be? I miss him so much, and I can't ever wish this on anyone else. But hopefully, hopefully, hopefully....we can be a part of a future for other families, families that won't have to hear the horrible words that we heard. September...it's not enough, but it's a start.